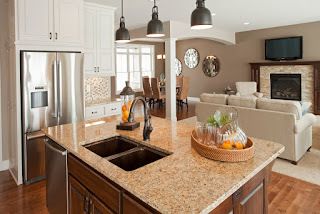 HDTV is a popular TV channel featuring remodeling wonders. The shows begin with a demolition phase, which is instructive. It’s not uncommon to uncover unwelcome discoveries behind the walls, while the poor homeowners look on hopelessly. At Woodland, we hear stories and witness similar problems all the time when we install replacement windows. It’s a crying shame to see how badly windows can be installed whether new construction or previously remodeled. At Woodland we have a holistic approach to window installation, which is why we prefer to install the windows we sell and why we don’t install windows we don’t sell. Soaring costs for heating and cooling our homes, energy efficiency becomes a priority. Homes are becoming better insulated and sealed allowing the heating and cooling systems to operate at peak efficiencies, reducing usage and costs. 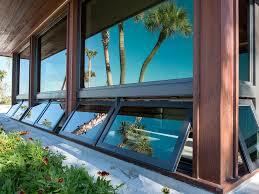 The next leap in efficient home design and maintenance is maximizing passive solar heating and natural ventilation. 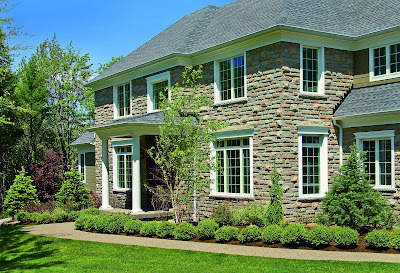 Windows play an invaluable role in the performance of our houses and today’s window options can provide a custom energy efficient solution for your unique house. 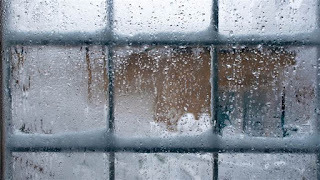 As a child, before air conditioning was built into most homes, I remember summertime when my mother would open all the windows at night or the very early morning to cool off the house. Then, about 10:00 am she’d close them and pull the drapes to keep the house cool the entire day. Granted the house was dark and stuffy, but compared to the 100º temperatures outside it was a haven. Today we hear about home energy assessments to measure airtightness, or dual pane low-e windows to manage solar heat, or low U factors to measure performance, but do we really know what these mean for our own home? 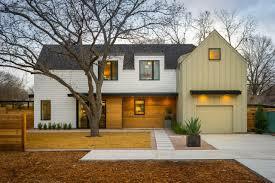 Most people don’t know how to remodel or design a new home applying energy efficient principles. 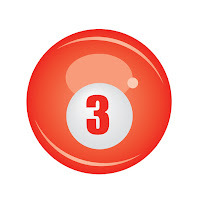 While there are multiple things that go into making a house energy efficient, there are three basic principles when selecting your windows: the orientation, the glass, and ventilation. 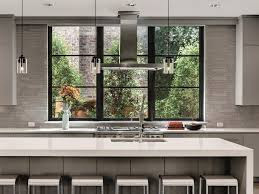 If you are remodeling your home or designing a new one the sizes and locations of windows should be based on the cardinal directions of the house – north, south, east, and west. 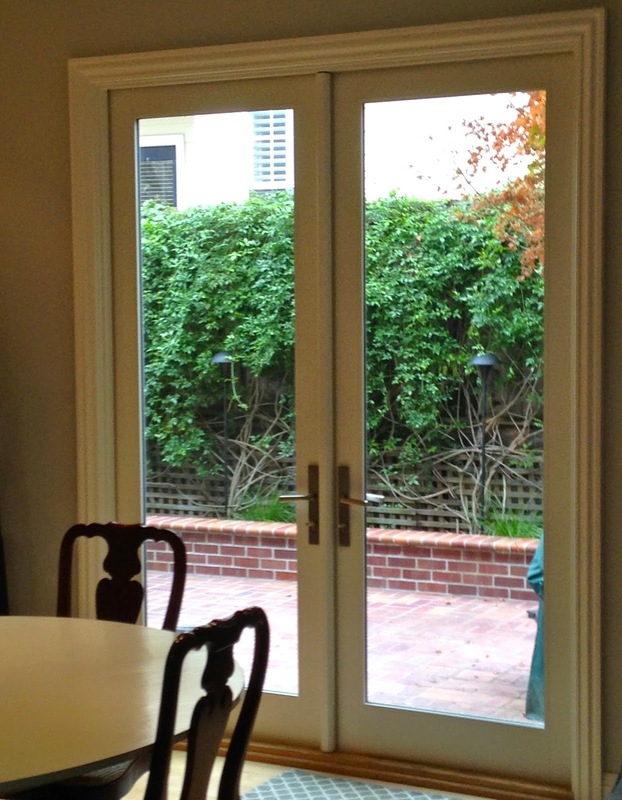 North/south oriented windows are the best option for visual and thermal comfort and accommodate larger glass openings without over heating, compared to east/west facing windows. East/West facing windows receive direct daylight at certain times of the day, which is often preferred for breakfast rooms or sunrooms and should be equipped with shading options. Selecting the right glass depends on the location of your windows and the geographical region of your home. Low-e has become a universal term for energy efficient coating applied to the window glass. Actually, advances in glass coatings and new regional energy codes, Low-e options can be customized to your home’s requirements. Whether you need high light and low heat or greater protection from fading – there’s a Low-e for your requirement. 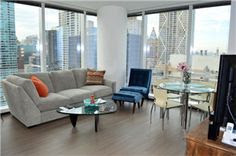 Next week’s blog will explain your glass options in detail. When remodeling or designing a new home select window styles and window locations that optimize ventilation for added comfort and efficiency. Fresh air circulation makes a huge difference in your well being while indoors. 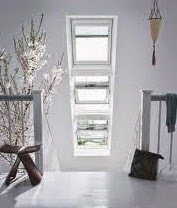 Educate your self on the many options including skylights with automatic sensors for opening and closing or awning transom windows above interior doors to circulate fresh air throughout your home. 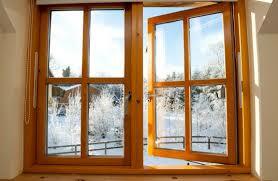 With so many options available to customize window energy performance throughout your home it can be confusing. Remember this, select the right type of window style for the window location and specify the finish and size of the glass. If you do these things, you can improve the energy efficiency and comfort of your home. After last year’s winter, the very thought that winter is coming evokes dread in most Illinoisans. Rain, snow and ice are tough, especially in record cold. Did you know that last December the average daily low temperature was 18˚F? For many people, gray skies that deprive them of natural light are the real scrooge. In December 2013 81% of days were cloudy, including one long spell of cloudy weather lasting 11 consecutive days. Winter’s hard and it is a season when you don’t get enough light, so why not add light to your home and brighten your spirits this winter? If you’ve dreamed of becoming a snowbird and escaping to Florida, or if you’ve imagined a brighter future for yourself living in the southern hemisphere, then you’re still rational. If you think this winter is going to be different than prior winters – we won’t mention last winter – you are becoming irrational. If either state describes you, consider the words of the American painter, Walter Andersen, “Nothing diminishes anxiety faster than action.” It’s November, you’ve got time to quiet your anxiety and take action to make a change before old man winter robs you of your cheery disposition. There are multiple ways to achieve this affect, including adding windows to your home, lowering, raising, or enlarging a window, or adding skylights to light interior spaces. Skylights or roof windows can be placed into a roof, either sloped or horizontal and are designed to provide daylighting and ventilation. Today’s skylights are made from dual pane, triple-coated with Lo-E3 dual-sealed glass providing you with energy efficiency and comfort. And Velux glass coating is designed to keep the glass clean, giving you a better view. Properly positioned skylights can be installed to avoid admitting direct sun on task surfaces or into your eyes by bouncing the light off white walls or adding appropriate climate controls to balance emitted light throughout the day. Basically, it is transmitting light where there was no light before – emitting natural light – and happiness - during those dark days of winter. Velux skylights and roof windows can take the darkest room and brighten it while eliminating the harsh color shifts of incandescent and florescent lighting and reduce your winter electric bills. Adding skylights allows the full light spectrum or natural light to enter your room and the effect that has on you physically, emotionally and psychologically is well documented. Available in multiple designs, Velux can accommodate multiple rooflines and the flat design provides a sleek look. Depending on your needs, skylights also come as fixed with a wood frame or vented models with either a manual rod for opening and closing or a solar powered remote option. If you’re interested in factory installed blinds complete with a built in solar panel power source, you’ll be able to control the amount of light you want and may qualify for a 30% Federal tax credit. What spaces can you improve in your home by adding more natural light, your kitchen, the breakfast nook or maybe, your favorite corner near the fireplace? Can you imagine yourself enjoying natural light brightening up any of these spaces in your home? Last December the average daily low temperature was 18ºF. Winter is just around the corner. If you don’t want to relive the winter of 2013 why not make a change, take action and check out Velux skylights and roof windows before winter arrives at your house?